(200 and 300 series) Nonmagnetic with excellent corrosion resistance and ductility. Hardened by cold-working (not heat-treatable). (400 and 500 series) Magnetic with high strength, hardness, fatigue resistance, and ductility, but only moderate corrosion resistance. Very machinable and hardenable by heat treatment. (400 series) Magnetic with good corrision resistance. Hardened by cold-working (not heat-treatable). (Precipitation-hardening) Has good corrosion resistance and ductility. Can be precipitation hardened to higher strengths than the martensitic grades. Has a mixed microstructure of austenite and ferrite. Have higher resistance to corrision and stress-corrosion cracking than austenitic grades. Commercially pure grades ( or low alloy nickel) such as Nickel 200 and Nickel 201 have excellent corrosion resistance. Nickel alloys generally contain .38% to 76% nickel. Nickel alloys such as Hastelloy, lnconel, and Wacspaloy are classified as superalloys. Highest strength-to-weight ratio of all metals with good corrosion resistance as well. High thermal resistance that contributes to poor ma.ch inability. Generally contains .35% to 65% cobalt. Although not typically as strong as nickel alloys, they retain their strength at higher temperatures. Used for high temperature applications due to its very high melting point. High strength at elevated temperatures, but tends to be brittle at low temperatures. Poor oxidation resistance. Keeping an alloy at an elevated temperature for a long period of time to allow precipitation to take place. See also precipitation hardening. Austenitizing a ferrous alloy (heating above the transformation range) and subsequently cooling it in open air to relieve internal stress and provide uniform composition and grain size. Results in a harder, stronger steel than annealing. Keeping an alloy at an elevated temperature for a long period of time (see aging) to allow the controlled release of constituents (alloying elements) to form precipitate (fine particles separated from the solid solution) clusters which increase the yield strength of the alloy. Rapidly cooling a metal after heating it above the critical temperature. Usually produces a harder metal in ferrous alloy, while most non-ferrous alloys become softer. Heating to a temperature below the transformation range for a specific time and then allowing it to cool in open air. Usually performed after hardening to reduce excess hardness and increase toughness (ability to absorb energy and plastically deform without breaking). 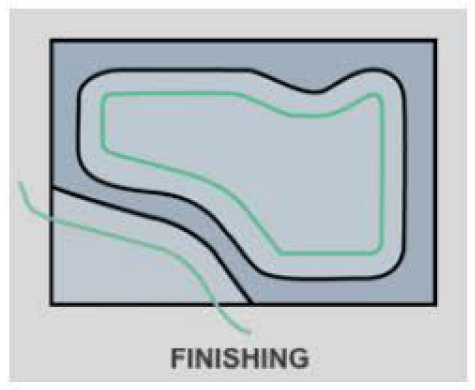 Follows the part profile after most of the material has been removed during a roughing operation. The upper section of the tool holder t hat fits into the machine tool spindle. This is the “male” interface of the “female” spindle. The part of the tool holder that the machine tool changer locks onto when moving the tool holder between the tool changer and spindle. It is also referred to as the V-Flange in holders with CV, BT, and HSK. This is the section of the tool holder that secures the cutting tool inside the tool holder. Distance from the bottom of the machine tool spindle to the bottom of the tool holder (measured when the tool holder is mounted in the machine spindle). 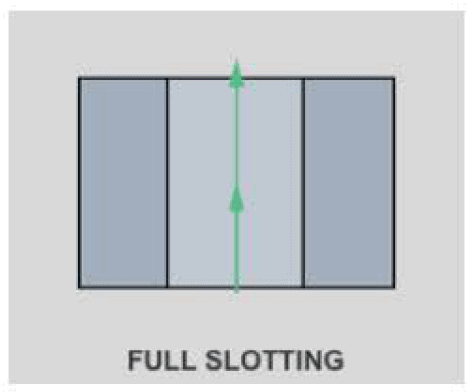 NOTE: It is important to understand that the tool stick out and cutting depths and widths affect tool performance. Consequently, Machining Advisor Pro adjusts speeds and feeds to account for these setup parameters. 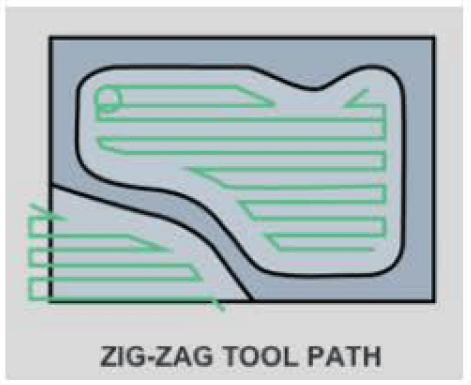 Also known as Step Down or Cut Depth (often expressed as a percentage of ADOC to endmill cutting diameter). 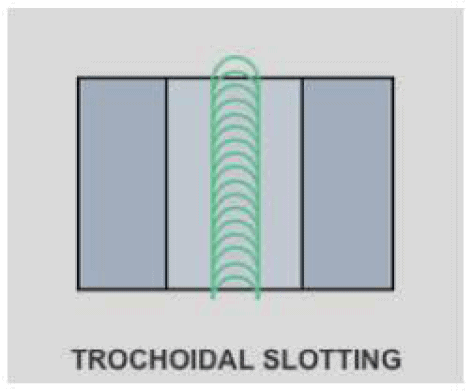 Also known as Step Over or Cut Width (often expressed as a percentage of RDOC to endmill cutting diameter). 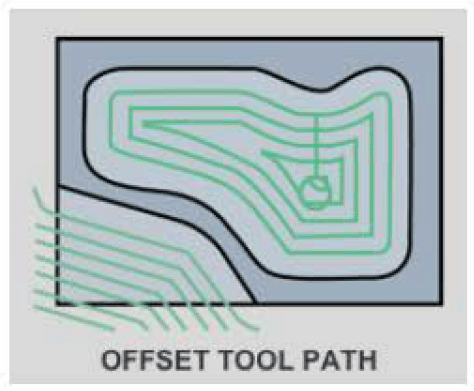 -More cutting work per tool rotation, requiring slower surface speed! 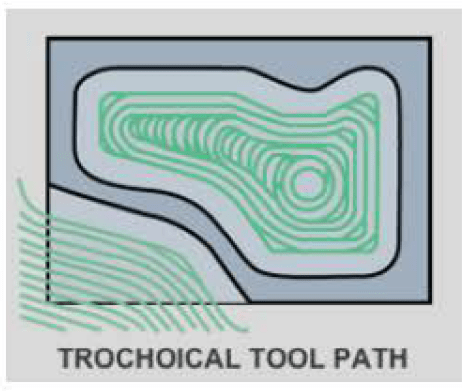 *As stated above, there is a direct trigonometric relationship between the radial depth of cut and the tool engagement angle. Also important to understand is how TEA/ROOC affects “chip thinning”. 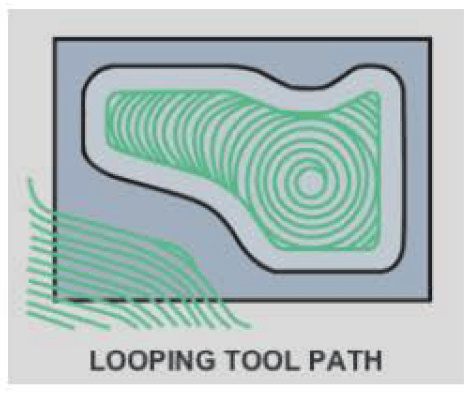 To learn more about your recommendations, check out our Speeds and Feeds 101 post on our machinist resource blog – In The Loupe.